Grab some wheels and prime your taste buds, because this South Australia road trip will have your eyes widening in wonder and your mouth salivating at the gastronomic goodness surrounding you. 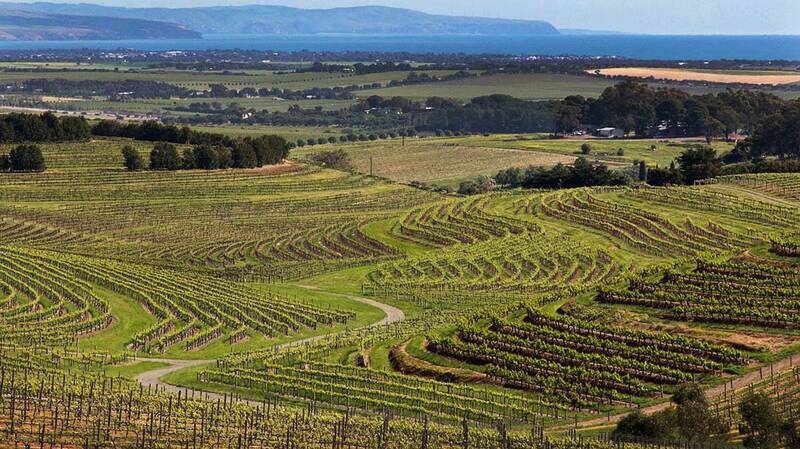 In the South Australia wine country, the views of terraced, quilt-checked hills go on forever. Away from the frenzy of the tourist-crowded east coast of Australia, is a laid-back and gorgeous spot that has not lit up the tourist maps of the world… yet. But I predict it soon will, because South Australia’s got it all. And most especially, it’s got what your mouth and your stomach are craving.The best way to taste all the goodness of South Australia is with your own wheels, so you can wander at your own pace, stopping wherever you get hungry or just crave a long gaze at the beautiful views. You can rent a car in Adelaide, but it’s better yet if you can get hold of a caravan or camper. These are also rentable, of course, but if you’re planning to cover more of this continent-sized island beyond South Australia, you might want to consider actually purchasing one, using it for your trip, then reselling it when you leave. You can find used campervans and trailers of all types on this gumtree website.. Also, this site lists many places to camp in South Australia. 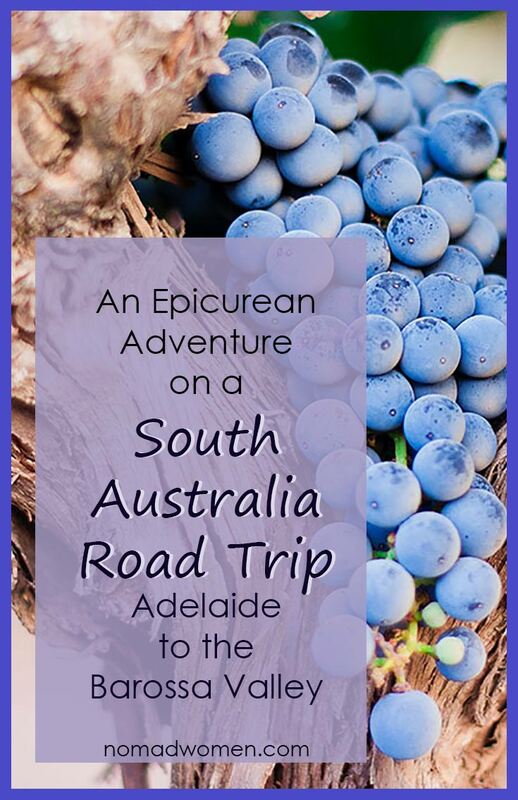 So, let’s get you on the road for your South Australia road trip. You will most likely fly into Adelaide, the capital of the state of South Australia. It’s a genial, casual city, with a laid-back vibe under a layer of hip sophistication. Once known as The City of Churches for its strong Lutheran roots, it now pulses with a more secular beat and an artsy underbelly. It was also named a UNESCO “City of Music” in 2015. Several world-renowned music festivals happen throughout the year, and there are live-music clubs and pubs on nearly every street. Adelaide was my first glimpse of Australia, and I was basically blown away—by the food, the nearby milk-white beaches, proximity to the country’s best wine region…and the people. One of my favorite eye-openers about Australians was how unstuffy they are. I felt like someone had taken the best qualities of Americans and Brits, mixed them with sunshine and salt water, and given them a unique accent I sometimes had trouble understanding. And I never met one in my time there who was less than kind, helpful, and welcoming. This is a compact city, easy to navigate. The central district is edged all around by parks and greenways and the Rundle Mall pedestrian shopping area. There’s no lack of things to do in Adelaide. 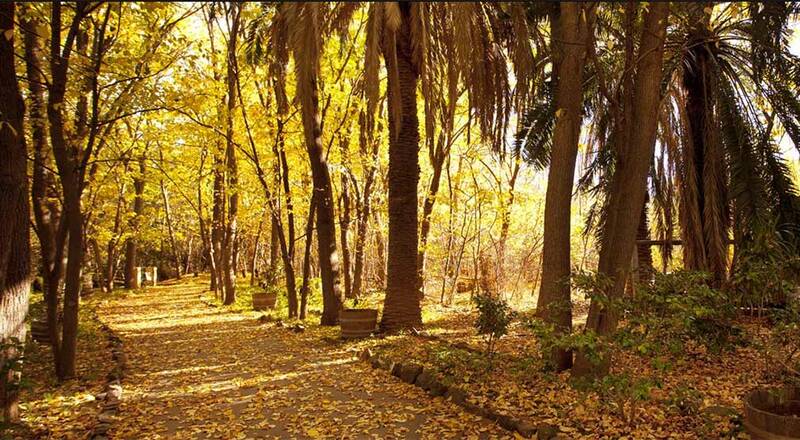 You’re offered plentiful and lovely parks and gardens. 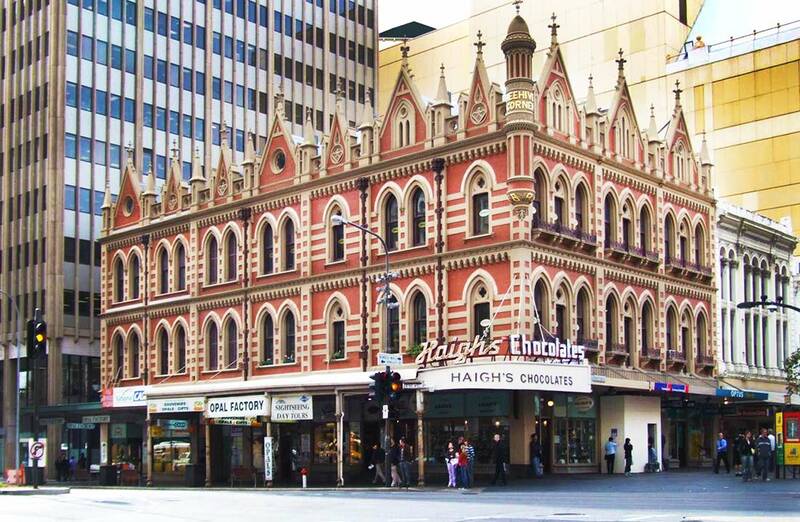 Rundle Mall lures you into its 15 buildings and plazas full of things to empty your wallet. Take tea at one of the outdoor cafes and smile at the whimsical street sculptures, including some darling bronze pigs, rooting around a trash can. Also, South Australia is the opal-mining center of the country, so keep your eyes open for beautiful creations featuring the rainbow-hued stone. 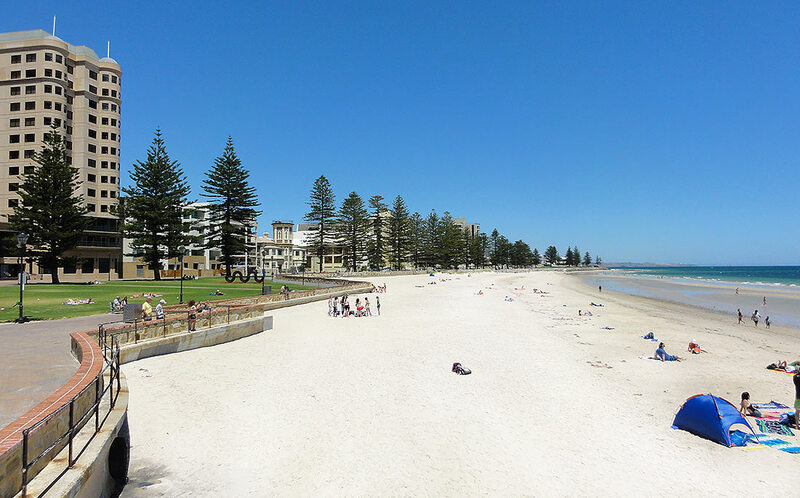 A short ride away on a historic tram brings you to Glenelg Beach. Sun and sand, a jetty, a lighthouse—all the beachy things you want and need. Glenelg Beach is Adelaie’s city beach, just a short ride on a vintage tram from the city center. To get a sense of Adelaide’s history and culture, take a stroll along North Terrace, the city’s cultural boulevard. That’s where you’ll find the city’s great cultural institutions and museums, the National Wine Centre, Parliament House, and the beautiful and serene Botanic Gardens. 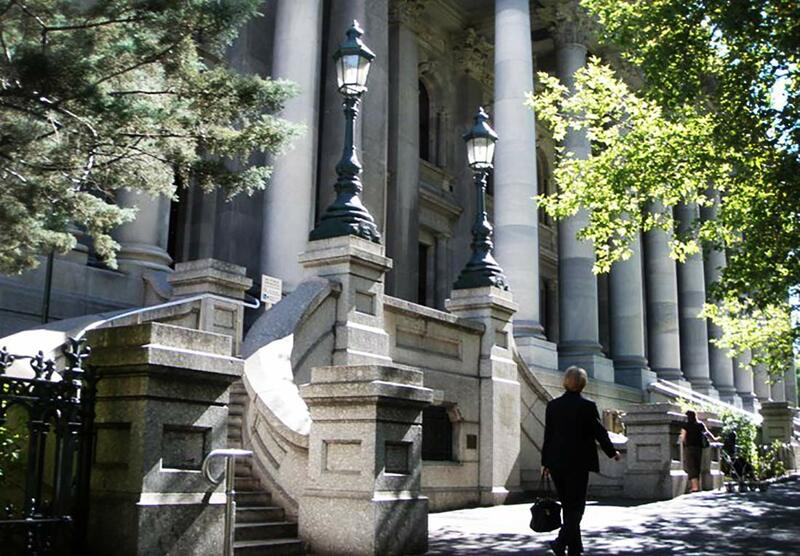 The South Australia state parliament building in Adelaide graces the Northern Terrace cultural district. 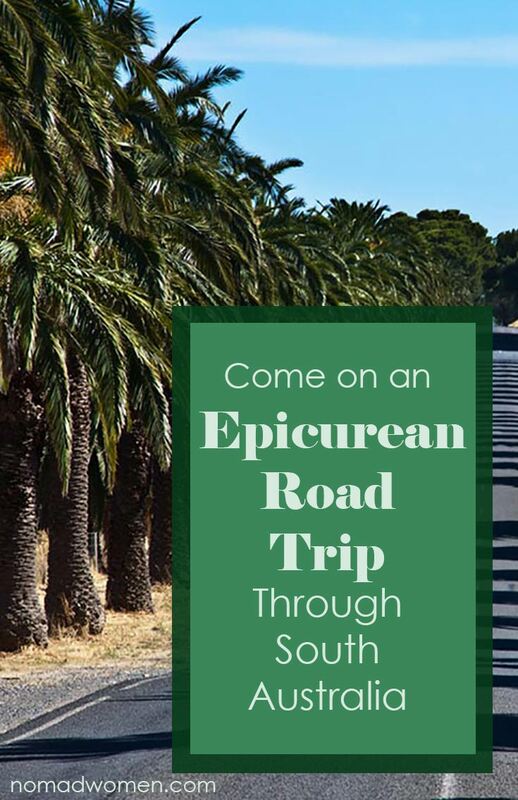 Where’s the Epicurean Part of this South Australia Road Trip? But I promised you food, an “epicurean adventure,” and for that we need to head to Adelaide Central Market. It’ the oldest fresh produce market in Australia, and it was my flat-out favorite spot in town. What you get is 70-odd stalls of color, noise, smells, and outright deliciousness. Here you’ll find the freshest regional produce, artisan breads, cheeses, butchers featuring the likes of emu steaks and ground kangaroo, bright-eyed fish scarcely out of the sea. The stallholders have fought against any new-fangled glitzy facelifts and revel in the noisy, rough-and-tumble atmosphere of the place, a true taste of Old Adelaide. After wandering around and drooling for a while, I bought 120 grams of amazing chicken pastrami, a small round of herbed chévre, one perfect crisp apple, and a small loaf of grainy artisan bread. It made the perfect picnic lunch. If you’d rather “eat in,” the place is loaded with multi-cultural cafes. Whether it’s pizza, paella, or piroshki you’re pining for, it’s waiting for you here. 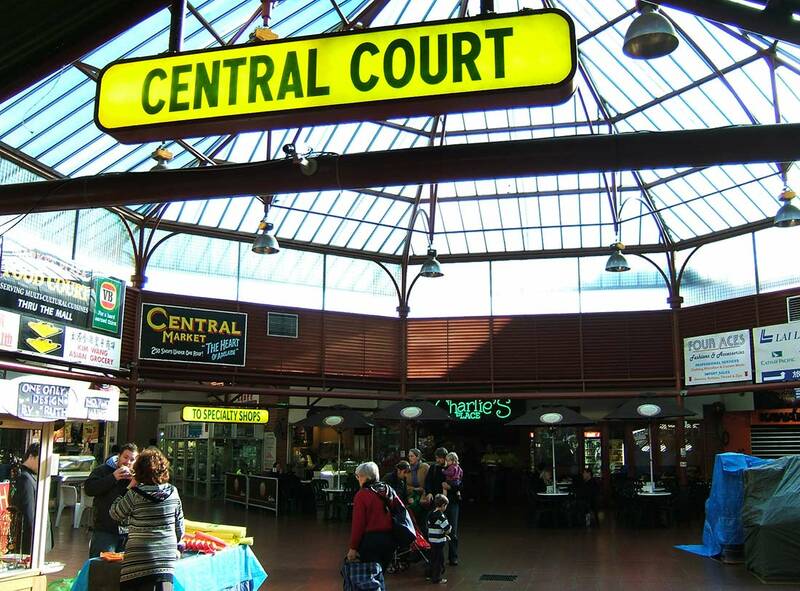 Adelaide’s Central Market is a landmark, a meeting place and a foodies’ heaven. Adelaide can keep you happy, entertained, and well-fed for several days, but eventually, you’re going to want to get behind the wheel and head north on that promised south Australia road trip. You’re about to take your taste buds on an epic journey, up through what may be the most beautiful wine country in Australia. 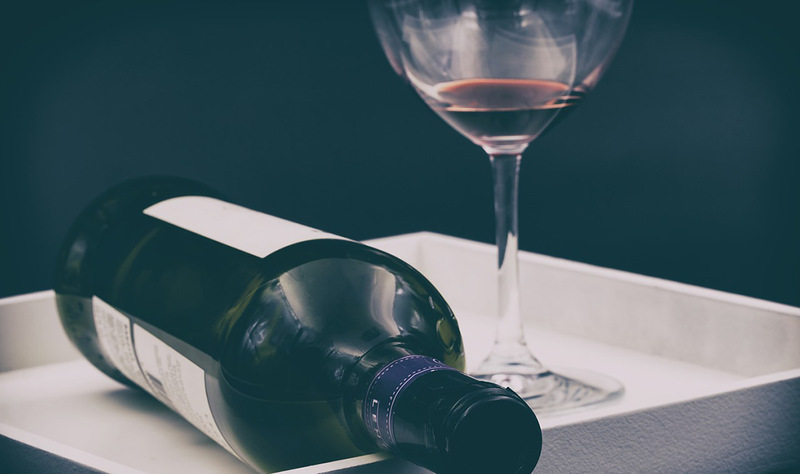 The road winds through the Adelaide Hills and into the Barossa Valley, where we’re going to find a staggering number of winery tasting rooms, or cellar doors, ready to enlarge your wine knowledge and delight your mouth as well. The wine that built the reputation of the area is Shiraz, aka Syrah. It is a deep, dark red wine, full-bodied, even a bit heavy in the mouth. I’m no wine connoisseur, having grown up on college plonk. But it was here, in the Barossa Valley, that I had my first ever wine epiphany: “Oh, so this is what really extraordinary wine tastes like!” College plonk would never again serve. But it’s not just about the tasting up here, as wonderful and varied as that may be. It’s also about the doing. There are many places in the region where you can have hands-on experiences of creating your own gourmet products. There are multiple opportunities to take cooking classes, blend your own gin, learn to make cheese. There is such an overflowing cornucopia of tastes, treasures and experiences, it’s impossible to cover them all. But here is a small taste of what you might want to sample as you meander west and north, traveling through some of the most beautiful rolling countryside this side of Burgundy. Prepare for a beautiful, peaceful, and flavorful drive. 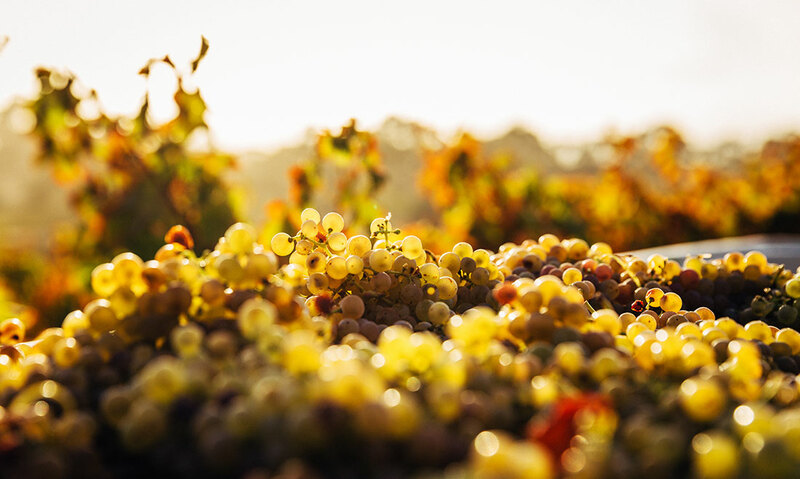 A short 20-30 minutes east/southeast of the city takes you into the Adelaide Hills, where gold mining history meets rich agriculture soil, an age-old pioneering spirit and modern innovation. The region produces wonderful cool-climate wines, with dozens of wineries where you can stop for tastings. Be sure to plan a stop in the village of Hahndorf, Australia’s oldest German settlement. It began in 1839 when a group of German Lutherans, wanting to escape religious persecution by the King of Prussia, decided to immigrate to a safer place. It has managed to retain its colonial charm and is full to the brim with boutiques, galleries, bakeries, pubs and cafes. Walking the length of the main street, you’ll encounter antiques and toy shops, a puppet shop, a fairy garden shop, and a candle shop where you can make your own scented jar candles. For when hunger and thirst strike, there’s no dearth of ice cream, artisan cheeses, German pastries, and flights of craft beers. Plus, there are at least five winery tasting rooms right on the main street. One fun Hahndorf experience is at Buzz Honey Hive Door, where they offer free tastings of various single-flower source honeys. Also, you can stand in a glass-walled observation hive and safely watch the bees at work. Just outside the village, if you stop at Beerenberg Farm from November to April (the Australian summer), you can pick your own sugar-sweet strawberries and lick the juice dribbling down your newly bright-red chin as you bite into them. Finally, before moving on you must stop at the Hahndorf Hill winery, winner of multiple awards and “best of” namings, both for its wines and for its winery experience. 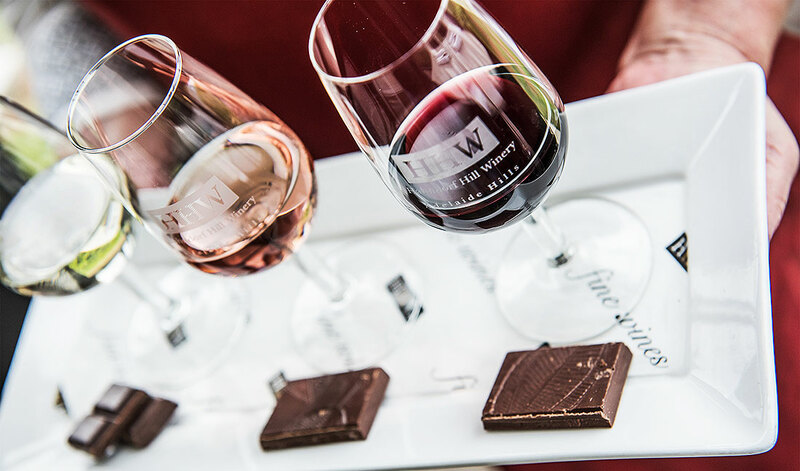 A highlight of that experience is ChocoVino,, which matches Hahndorf Hill’s boutique wines to some of the world’s best chocolates for a pairing you won’t likely forget. Who knew wine and chocolate could be this good together? The experience is made even greater by the spectacular views of the winery and surrounding countryside from the glass-walled tasting room. Wine and chocolate, oh my! At ChocoVino at Hahndorf Hills Winery in the Adelaide Hills. In the rolling, verdant Barossa Valley, wine has been a way of life for more than 175 years. That history has built it into one of the world’s great wine regions. In this viticulture area are planted some of the oldest continuously producing vines in the world, some going back to the original cuttings brought from Europe in the 1840s. Add in a diversity of weather and soil conditions and you end with a wide variety of wine types and the unofficial designation as “Wine Capital of Australia.” (Since the weather can change from warm to quite cool from one side of the valley to the other, I suggest you take a wrap with you, even in summer. Something like my favorite travel shawl) is perfect. One thing is certain. Where there is great wine, fine artisan food is sure to follow, as well as opportunities to watch it being made, grown, cooked, and brewed, and even take a hand at doing some of that yourself. Driving north into the valley, you come to Lyndoch Lavender Farm, where you can stroll through the brilliant lavender landscape (hint: bring your camera!) They produce all sorts of lavender products, including soaps, essential oils, seeds, organza sachets, and sleep pillows. But for me the stars were the items that came from the farm kitchen. Lavender honey, mustard, chutneys and their classic lavender jelly, are all sold, with plenty of tastings to help you decide. At the Lavender Farm Café, you can get coffee or lavender tea, cheese platters, and lavender ice cream, lavender scones, lavender biscuits… you get the idea. 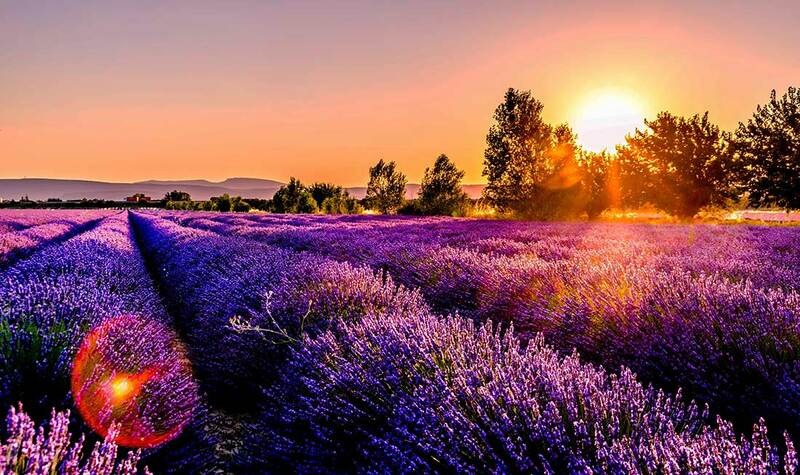 At Lyndoch Lavender Farm you can stroll through the lavender fields, buy products made with lavender, and eat gourmet treats flavored with lavender. Photo by Léonard Cotte on Unsplash. A pretty drive up the road a piece brings you to Tanunda. It was also settled by those fleeing German Lutherans and is still full of quirky architecture from the 19th century. It’s hemmed on all sides by vineyards. Look to the end of any street in town and there be grapes. Stop at the Barossa Wine and Visitor Centre on Murray Streets for maps and information. 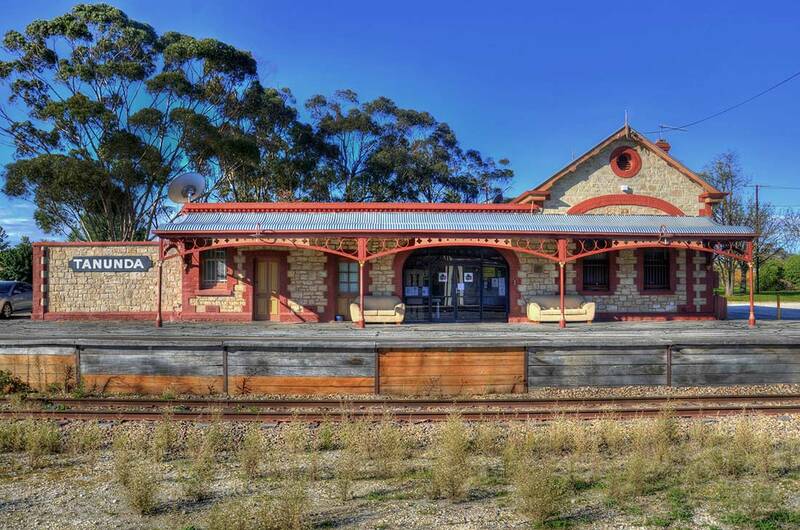 The old Tanunda Railroad Station is typical of the colonial buildings in town, influenced by the style brought by German immigrants. Photo by Chris Fithall on flickr–CC 2.0 license. Right in Tanunda’s main street you’ll find Barossa Valley Brewing where you can try an IPA, an award-winning ale, some cider or their outrageously amazing Special Batch Chocolate Coffee Stout, a heavyweight brew flavored with Peruvian cocoa nibs and Barossa roasted coffee. Enjoy your drink on the paved terrace beneath giant gum trees. Or on chilly days, snuggle by a wood fire inside. Back on the road, we wind through hazy valleys and vine-quilted hillsides, studded with giant eucalyptus trees. There are as many opportunities as you could hope for to stop along the way for wine tastings, photo ops, or just drinking in the beautiful rural views. Soon we come to Nurioopta, the Valley’s largest town, also surrounded by vineyards. There are even grape vines growing on some of the buildings in town. Our next stop on this pilgrimage of degustation is Durand’s Gin School. It’s adjacent to the better-known Maggie Beers Farm (also worth a stop). We’re going to make ourselves some private-label gin. Working at your own Italian copper still, you’ll mix a base spirit with your choice of botanicals, with plenty of advice and instruction to help you get it right. Then, while your still heats up and does its magic act, you’ll sit down to a four-course lunch. Afterward, you’ll break your newly-minted spirit down with pure water, bottle and label it. Your own personal gin is now ready for you to take home. Just up the road is Penfolds, one of the best-known Australian wineries in the world. And from blending gin we can go to blending wine. Put on a white vigneron’s lab coat and step into the Winemaker’s Laboratory for a 90-minute learning experience. Here you’ll be given three wines and lots of tips and guidance. You’ll blend, sniff and taste until you have exactly the blended wine that suits you best. You’ll go home with a bottle of your own wine, with your own label. What a great souvenir! At Penfolds winery, you can go home with your own private blend wine, blended by you in the wine labs. There’s one more unmissable stop before heading back to Adelaide to finish our South Australia road trip. And it’s a big one you need at least an entire day for, maybe more, depending on how much you like to taste wines. Get onto Seppeltsfield Road heading east. For the next 6 miles/10 km, you will pass through beautiful hills and valleys where old vines grow in the rich red soil of this part of the Barossa Valley. Along the road are at least 18 winery tasting rooms, plus a cider brewer and a distiller. The last part of the road is itself spectacular, a 3 mile/5km stretch lined on both sides with enormous Canary Island Date Palms, more than 2000 of them in total, planted during the Great Depression. Besides the wineries, some of the best and most famous Barossa restaurants are located along Seppeltsfield Road. At Hentley Farms, the 1880s stables have been converted into an elegant and contemporary dining room where the focus is on locavore dining. Much of the produce comes from the farm itself. Many items are foraged from the wild around the estate or caught in the local waterways. The rest is sourced from small family farms nearby. There’s no set menu but rather a constantly changing surprise menu that depends entirely on what is fresh and good that day and what magic the chef decides to create with it. These dishes are paired with the estate’s own wines. 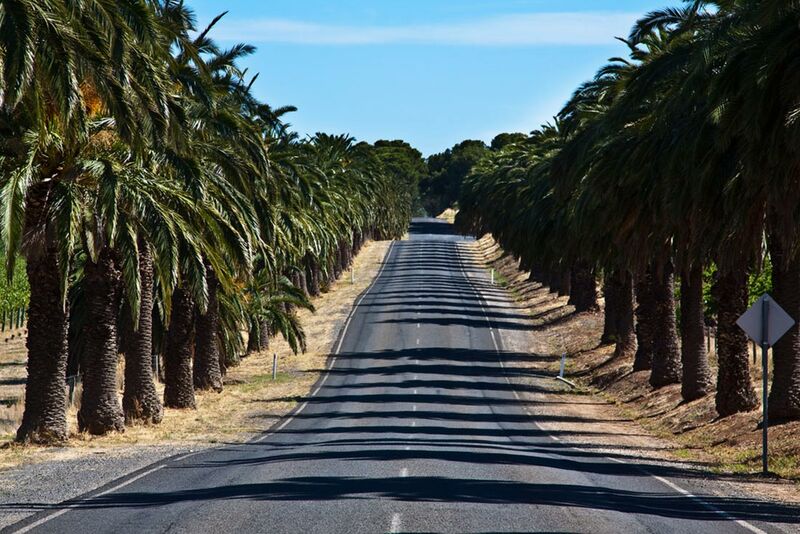 Finally, that spectacular Palm Drive brings you to Seppeltsfield Estate, 420 acres of ancient vineyard, lush gardens, and heritage architecture. You can set your own pace and wander at will, taking in the winery and the beautifully planted gardens, and sampling some of the complimentary tastings offered. Or you can join a tour. There are heritage tours of the buildings, a Segway tour of the grounds, and one that takes you through the famous Centennial Cellar. From this almost sacred spot, Seppeltsfield has issued a 100-year-old Tawny wine every year since 1978. You can even taste your birth year wine. The gardens at Seppeltsfield Estate are extensive and glorious. 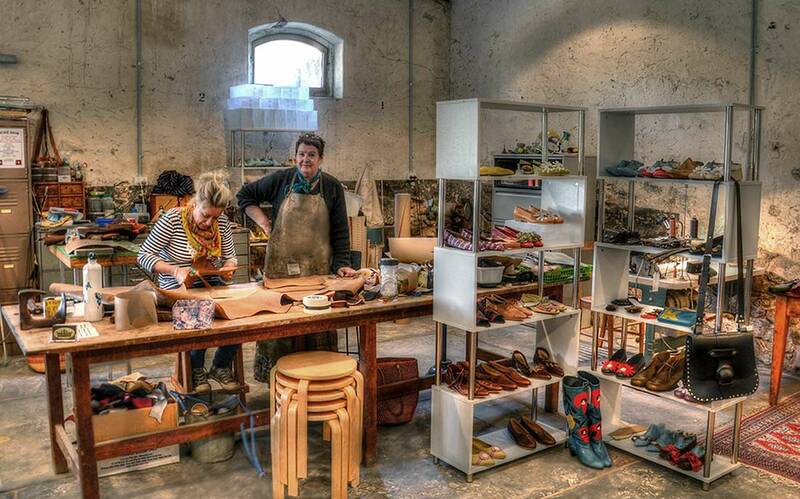 JamFactory, located in the 1850s stables of the estate, is a hub for craftspeople and design artists. As they work in their studios, creating beauty and function in jewelry, knife-making, ceramics, millinery, glass and other fine crafts, you can watch them and even stop to chat. Then buy their beautiful creations in the retail shop. At JamFactory, you can watch and interact with the artists and craftspeople in their studios. Our South Australia road trip itinerary has barely scratched the surface of what is available in this beautiful part of the country. There is so much more I had no room to include. As you meander through Adelaide, the Adelaide Hills and the Barossa Valley, keep your eyes alert for serendipitous finds along the way, From cheese-making lessons to an Italian cooking class, from restaurants specializing in native “bush tucker” meals to places you can buy house-made mettwurst—there’s that German accent again—South Australia will reach out and hand it to you. And a South Australia road trip, at a slow and meandering, sipping and swallowing pace, is the right way to experience it all. things to do in Perth.